By leveraging upon our huge industry experience, we provide the best quality array of HSFG Nut. 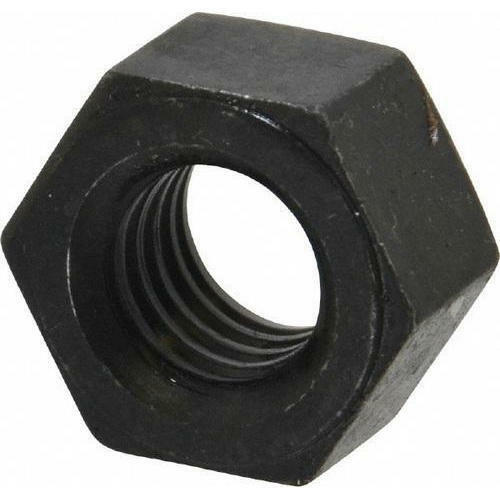 Noble Nut India is the leading manufacturer of mild steel and high tensile fasteners, since 1996 in Jalandhar, Punjab. We are pleased to introduce ourselves as the foremost manufacturer and supplier of mild steel and high tensile fasteners. Established as "Sole Proprietorship" firm in the year 1996 at Jalandhar, Punjab. We are working with leading companies of India and our products are widely accepted by these companies. Under the headship of “Deepak Kapoor" (CEO), we have achieved a noteworthy position in the market. Hex Nut, Lock Nut, HSFG Nut, 2H Nut, Square Nut, Long Nut, Spherical Washer Coupling Nut, Flange Nut, Nylon Insert Lock Nut, Castle Nut, Slotted Nut, etc. Hex Bolt, Hex Screw, Square Head Bolt, Carriage Bolt, HSFG Bolt, Full Threaded Studs, Foundation Bolt, etc. Plain Washer, Spring Washer, Tapper Washer, Rebar Coupler, etc. With more than 21 years of experience in this field, we are confident that we will render best services to you. We look forward to a wonderful relation.